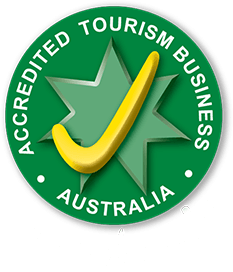 We’re excited to announce we’re now home to Australia’s largest clan of Spotted Hyaenas! 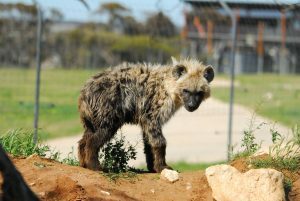 After father-son duo Gamba and Mkoko made the journey down the hill to their new home at Adelaide Zoo, keepers at Monarto decided to give our remaining hyaena groups a bit of a shake-up. This rearrangement saw female Forest, along with her nine-month-old male cub Majani, join the females Kigali and Thandiwe, or Thandi for short, and Thandi’s one-year-old twins, female Kanzi and male Jaali. Hyaenas live in matriarchal hierarchies, meaning the girls rank higher than the boys, so keepers were interested to see how the three previously dominant females, Kigali, Thandi and Forest, would figure out who would now take the top spot. Monarto Zoo Carnivore Keeper Jaimee Button says watching the hyaenas establish their new hierarchy was an incredible experience. 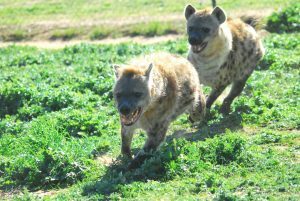 “We knew having a leading female in each group would make the hyaenas’ transition very interesting,” Jaimee says. “We were lucky enough to witness some incredible vocalisations that could be heard across the entire park! “Initially, Forest was displaying dominant behaviours towards Thandi, who is actually Forest’s daughter, including biting her back and keeping her head on top of Thandi’s when the two were close together. 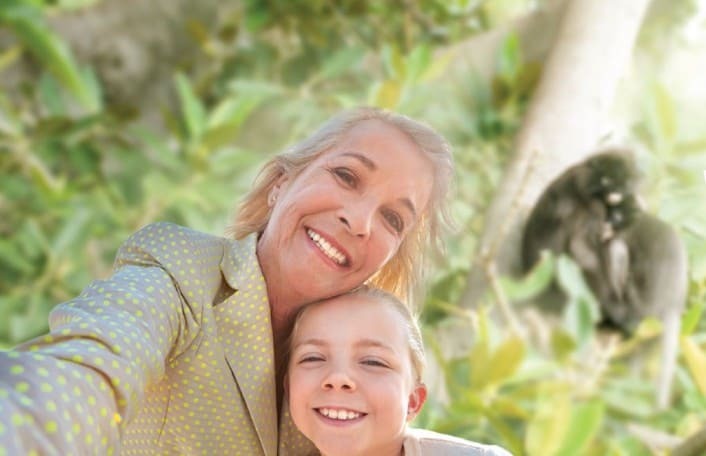 “However, once Kigali, Forest’s mother, joined the mix it was a different story! After four hours of hearing incredible vocalisations and monitoring social behaviours, keepers separated the adult hyaenas to be back in with their cubs for the night. The next day saw the cubs introduced into the mix as well. “Once we introduced the adult females together again, we allowed the cubs fence contact with the adults before letting them join the clan”, Jaimee says. 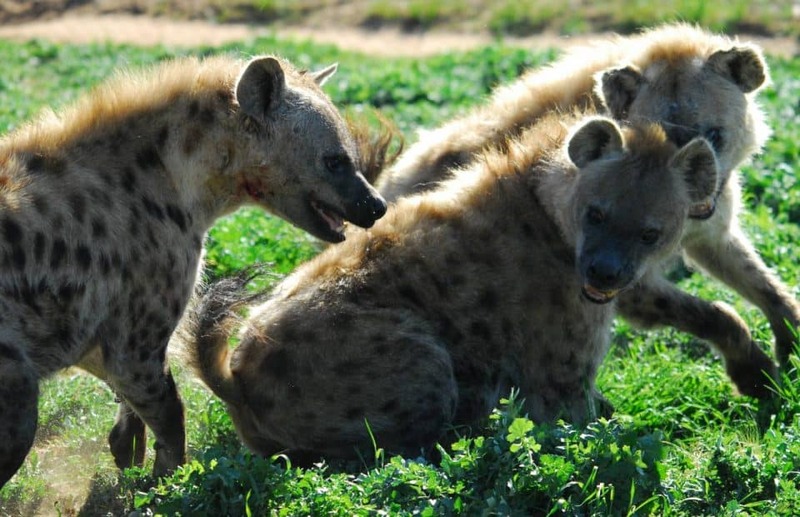 In hyaena clans, cubs take on their mother’s ranking. Forest’s male cub Majani, now being the lowest ranked of the group, took a little while understand his place. We’re pleased to say that after being a little shy and nervous to begin with, Majani quickly settled in and is now a happy part of the clan. “Since the introduction last month we have continued to witness social behaviours never seen before at Monarto which has been an awesome learning experience for us”, Jaimee says. 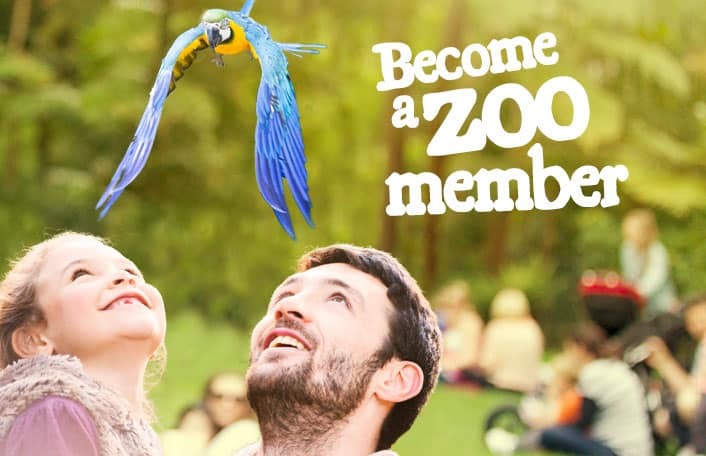 You’ll now find the clan socialising together and enjoying some of their favourite enrichment items like ostrich eggs and tasty turkey drumsticks. 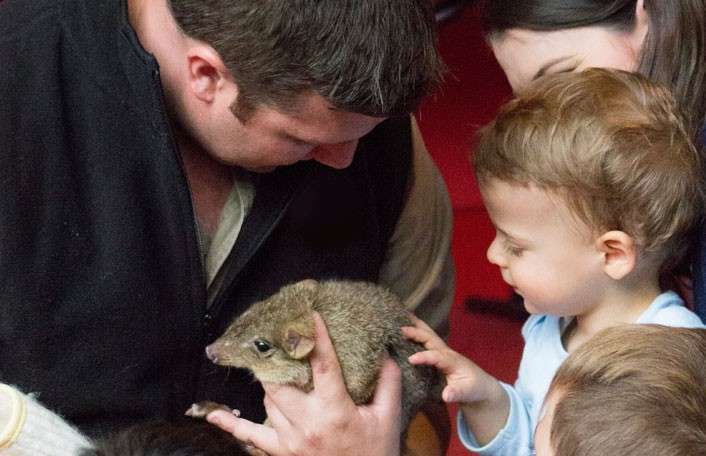 Next time you’re at Monarto, make sure to visit this incredible clan and learn all about this fascinating species.